Recommend exciting games and game Raiders – Come in, you will not regret it! If Edison came to twenty-first Century now see a mobile phone, estimating his words will become “the application of mobile phone is 99% plus 1% of the hardware.”. So to apply now mobile phone so much, not so smart and stubborn Edison was crazy? Below I statistics several people try to stop but cannot again painful puzzle game, the game itself clearance is very difficult, if not to obtain the whole achievement is more difficult. Let us have a look these freak us out of the games. 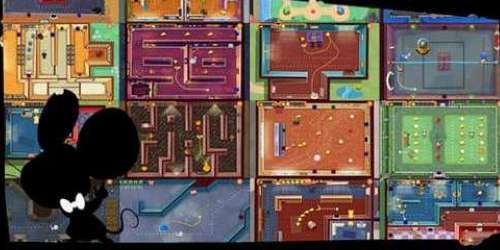 “Escape” is a very good room escape puzzle game, the game to the story of five leading role for the spindle, out of the five segments afford much food for thought escape story, let the game player very devotion, is rarely seen in recent years, room escape games. The purpose of the game is very simple, game player is trapped in a sealed room, you need to open the door of the room escape this place. Obviously, you need to find the way to open the door, perhaps it will need some beat all the skills, you may want to find some hidden items, this is not difficult but not simple, you need to observe carefully, you will get all that, try to break through. 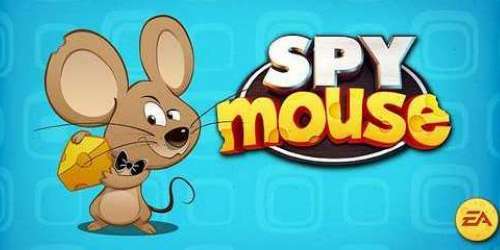 “Spy mouse” is a production by EA under the creative team of a puzzle game. In this game, you need to become a spy mouse, get success in a variety of hidden organ level. On the epic adventure – by Flight Control and Real Racing producers spend more than two years carefully crafted for you. His fate is in your hands. “Crocodile” small naughty love take a shower is a physics-based puzzle game, retina display image, multi-touch and excellent sound quality. If you want to be successful, you need to be very clever, also be algae, toxic ooze, traps. There are 140 challenging puzzle for you to solve. “The platypus where Terry” is a Disney released “crocodile small naughty love take a shower” sequel, although the picture is similar, but the gameplay is different, the influence of water because of props in gaseous, liquid, solid state change, how to use different forms of water is clearance of the key. In the game, game player will experience various forms of water. Open the gates of the earth, guide the water and vapor through the ice, mud and stone into the pipeline. Dr. Du Fen evil in the sewers of the laser trap arrangement of all kinds, you need to use the laser turned water into different forms.